EGG is directed by Marianna Palka and was released on Jan 18th, 2019. 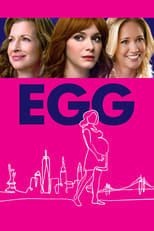 Director Marianna Palka's Drama & Comedy movie EGG is produced by 2 Wonder Full To Be & Over. Easy. & was released 2019-01-18.